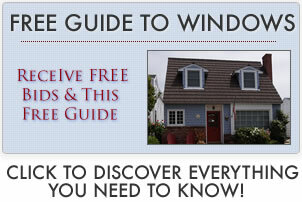 Our Loewen windows reviews offers opinions from homeowners, industry experts, consumers and contractors. Find information on costs and prices how they compare to other brands and much more. I am the proud owner of Loewen Windows and when choosing my windows it was a tossup between Loewen and Marvin. If you’re building a new home then you want to start with quality windows, it will save you money in the long run and reduce the need to replace the windows in the near future. One of the contractors I was working with at the time suggested Semco and Hurd and I wouldn’t even consider them. I have made the mistake in the past in purchasing windows to stay within a low budget and ended up with endless problems. Even with a low budget, you can shop around and often find a better quality window which will reduce the risk of problems in the future. I sell Marvin and Loewen windows and honestly I like them both. Loewen is the smaller company of the two and uses exclusively dealers and distributors to sell their products. This means that consumers need to research the dealer they are going to buy from to make sure that they are reliable and customer oriented in case service calls or other issues arise. I’d advice getting a quote from both Loewen and Marvin to compare. Loewen uses a Douglas Fir on many of their wood windows, which stains darker than pine, has a slightly busier pattern and is a hard wooder wood than pine. A hard wood means it will last a long long time if properly taken care of. Most other companies use pine, a softer wood and not quite as nice looking in my opinion. Marvin uses a Pondersa Pine, which is a great option as well, although it won’t stain as dark as the Fir. The whole reason cladding was invented was that pine can rot over time — so the extruded aluminum or vinyl, along with a great finish, protects the outside the wood looks great from inside. The downside on the Loewen in my opinion is their spotty presence in certain areas so you had better make sure that whoever installs the window is going to be around in 20 years. Marvin is better established with full-time support that handles homeowners problems quite well. I have used Loewen windows on at least three projects and have never had any problems with either their doors or windows. Plus my clients always love them. Many of their products get great reviews and I would say they compare well to Marvin and also Andersen, but at a lower price point to the Andersens (probably on par with Marvin windows prices.) They also offer lots of color choices for their cladding. I guess my only advice would be to order them early as the lead time is pretty long at 5-6 weeks. Basically, if you can afford the investment, I don’t think you can go wrong with them. 1) Loewen uses Western Douglas Fir wood; Marvin a Ponderosa Pine. 2) Loewen corners are tennon and double mortise; Marvin are tennon and slot. 3) Loewen controls moisture with a built-in weep system; not quite sure how Marvin handles this. I have received quotes on both and the Loewen comes in $2,500 over the Marvin Ultimate for 18 windows, which seems like a lot.